Electronic Arts will be the first to say that they’ve come up short in the past several installments of NBA Live. The once great series had become a punchline after a series of cancellations and disappointments, and they wound up taking a year off in order to retool the series. The end result is NBA Live 18, and from the first tip-off players will notice that they’re playing a solid basketball game. Due to some slick user interface design, NBA Live 18 is a great pick-up-and-play title. There’s still plenty of depth here (a lot of which revolves around its passing system, which players can use to do some dope self alley-oops if they get good enough), but it has a slightly more arcade feel to the core action when compared to 2K. Expect a lot of fast-breaks, big dunks, and constant action. While the gameplay is a huge step forward from previous entries, there’s no denying that certain aspects of NBA Live 18 can’t quite compare to 2K’s basketball title. The presentation is a major one, as while Live utilizes ESPN branding for a slick interface, it doesn’t quite nail the broadcast presentation. Additionally, the graphical models aren’t to the point that you’ll be showing your friends how realistic Joel Embiid looks (although after playing Live enough you might be telling people to “trust the process”), even if it’s a totally fine looking title. Curious about the competition? Read our NBA 2K18 review. The entire game is built around one mode in particular titled The One. This is where players get to create their own character, that they’ll get to mold into an NBA superstar. After a few cinematic hours that has players competing in street tournaments (and occasionally having to watch awful First Take segments talking about their character’s rehabilitation from injury), I found myself getting drafted fourth overall and wearing a Sacramento Kings jersey. From there on, a lot of the story pretense is dropped. While I could answer the occasional text message to gain additional in-game currency, I was also free to just ignore all of that and focus purely on my NBA career. That’s exactly what I did, as I managed to utilize the minutes I got as a rookie, and quickly became a starter in my first season. The better I performed on the court, the more skill points I earned, and I was able to basically use a skill tree to customize my character. I wasn’t just a shooting guard, but an impressive dunker that had the passing skills to always be dangerous with the ball in my hands. While I mainly preferred to play in the NBA, there’s also a street league side of the campaign. This all revolves around competing in tournaments where games are settled by seeing who can be the first to score 21, and the player’s character carries over between the two modes. No matter what mode you’re playing in The One, you’re still making progress with your created star. I had a really great time with both sides, which was a contrast to my experience with 2K‘s MyCareer mode. 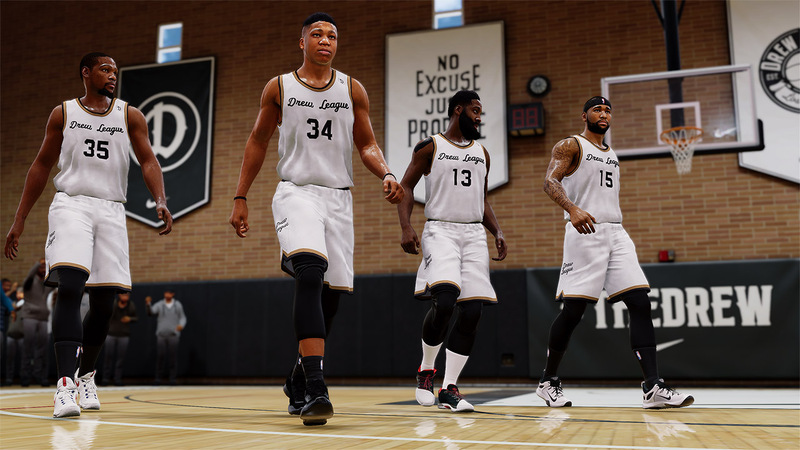 While I spent the bulk of my experience in the two main single-player modes, NBA Live 18 features plenty of other offerings. These include five-on-five online matches starring every player’s created characters, more traditional online play, and Ultimate Team, which is a mainstay of EA’s sports titles. I’ve never been a huge fan of Ultimate Team in other games (I simply don’t want to suffer through using a bad team until I get better cards), but I did enjoy how all of the fantasy challenges were setup. Since basketball focuses so much on players, it feels like a big deal to be going up against someone like Kevin Durant, especially when your team is filled with bench players early on. It still wasn’t enough to hook myself in, but those that like the mode in FIFA and Madden should be happy. 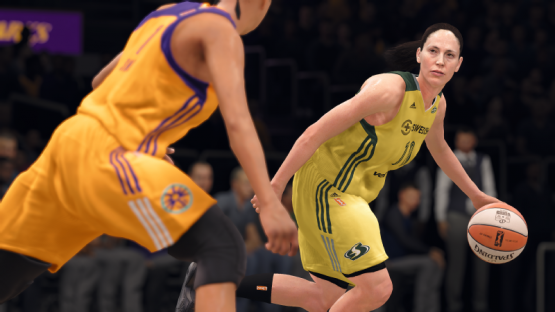 One of the coolest additions to NBA Live 18 is the ability to play as WNBA teams. While I’m not the biggest follower of the league, it was refreshing to see all of the bigger names that I know in a video game. Unfortunately, the women are all segregated to their own exhibition mode, which means players can’t create female players or do a franchise mode controlling a WNBA team. That’s a bummer, but this is at least a solid step forward. NBA Live 18 review code provided by publisher. Reviewed on PlayStation 4 Pro. For more information on scoring, please read our Review Policy. Why can't I escape Stephen A. Smith?